If you already have renewed your membership, we thank you for being part of RNAO. This year, we reached a milestone of 42,056 members. RNAO appreciates your support and commitment. Ask your nursing colleagues if they remembered to renew, and if they have not, remind them to renew today and take advantage of the association’s many benefits. Do you know a nurse who deserves to be recognized? 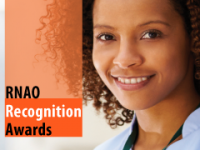 RNAO’s Recognition Awards are now open. Celebrate the best in nursing by nominating a colleague or your organization. These awards recognize individuals and groups who contribute to RNAO’s mandate: Speaking Out for Nursing, Speaking Out for Health. 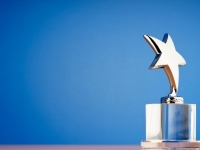 Consider colleagues who are worthy of recognition and submit a nomination on their behalf. Reporters shape public dialogue on nursing and health issues and have the power to spark positive change. This year, reporters and journalists reported on many stories of interest to RNAO and its members. 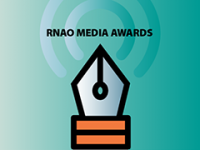 Think about stories that have touched you and consider nominating reporters for an RNAO Media Award. 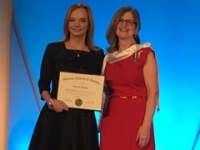 RNAO left a lasting impression with nurses around the world in November as one of its top nursing leaders was inducted into the American Academy of Nursing. RNAO CEO Doris Grinspun was one of five Canadians inducted into the 2018 class of Academy fellows during a Nov. 3 ceremony at the academy’s annual policy conference in Washington, D.C. 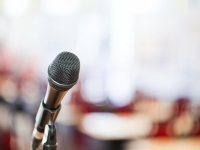 Become a voice for nursing: Deadline Dec. 10 at 5 p.m.
As your professional association, RNAO is committed to speaking out for nursing and for health. Your talent, expertise and activism are vital to our success. RNAO is seeking candidates (RNAO members) for positions on the board of directors for the 2019-2021 term. The College of Nurses of Ontario (CNO) is currently doing the necessary work to enable RN prescribing, including making regulations under the Nursing Act and defining RN prescribing competencies. RNAO would like to thank all members and MPPs who took part in this year’s Queen’s Park on the Road. 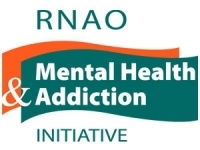 Thanks to your participation and help, RNAO was able to schedule 49 meetings with MPPs to talk and discuss a wide range of nursing and health issues. Marking the fifth-annual Nurse Practitioner Knowledge Exchange Symposium, 50 NPs and other health system leaders came together on Nov. 20 to discuss ways to enhance access to care through full NP utilization. RNs, NPs and nursing students know that the lack of decent work and living wages takes a toll on the health of workers and their families. 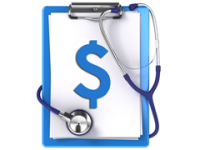 RNAO called on the government to withdraw Bill 47, which would freeze the $14 minimum wage, and remove paid sick days. 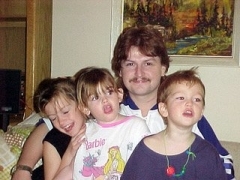 The effects of climate change in Ontario have never been more evident. The 2018 wildfires in Parry Sound. The 2018 tornadoes in southern Ontario. The 2016 drought in eastern Ontario. 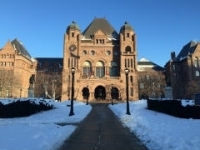 That’s why on Oct. 30, RNAO’s Region 6 board representative Hilda Swirsky and senior economist Kim Jarvi went to Queen's Park to oppose Bill 34, the Green Energy Repeal Act. One of RNAO’s long-term care Best Practice Spotlight Organizations (BPSO) is being recognized for its work. 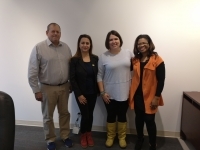 The F.J. Davey Home received Workplace of the Year during a conference organized by the Ontario Long Term Care Association (OLTCA) in November. Looking for a new and exciting learning experience? 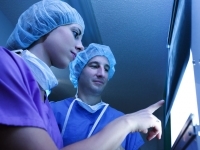 RNAO is now accepting proposals for the Advanced Clinical Practice Fellowship program. RNAO is committed to promoting excellence in clinical practice. It is for this reason that we are delighted to announce the newly rebranded BPG Order Sets (formerly known as Nursing Order Sets), an implementation tool that will help nurses and interprofessional teams to achieve quality in health care. Learn about the rationale behind cannabis legalization as well as issues related to cannabis use. 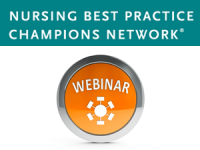 Hear from Toronto Public Health about an innovative leadership approach that was used to achieve excellence in nursing practice. Explore how to support the implementation of RNAO’s third edition of the breastfeeding best practice guideline. Copyright (C) 2018 Registered Nurses' Association of Ontario. All rights reserved.